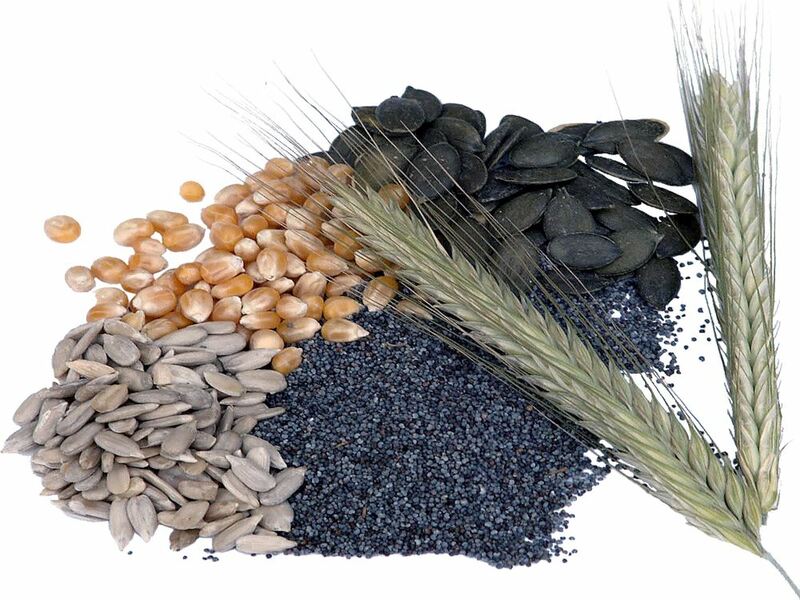 For many years ZIELER & CO has offered a wide range of seeds and grains. We attach particular emphasis on organic products and of course premium quality. If you are unable to find a product amongst our range, please call us and we will do our best to offer further assistance.. Barley is one of the most important grain types. Milled to flour or rolled to grit, pearl barley or flakes, barley is suitable for baking e.g. bread, for soups or for muesli. Buckwheat is perfectly suitable for soups, patties, dumplings or pancakes, you can add it to muesli or bake it in tarts. Buckwheat is a pseudo-cereal and therefore gluten-free. Bulgur is made of wheat and has been a basic food in the Near and Middle East for centuries. Simply soak it in hot water for about ten minutes and enjoy. Chia seeds can be used in many different ways. They are rich in antioxidants, proteins, fibre, vitamins, and mineral nutrients, and they have a high content of Omega-3 fatty acids. Couscous is perfect for salads, casseroles, and sweets and also makes a wonderful side dish to fish, meat and vegetables. Couscous by ZIELER & CO. from certified organic farming. Thanks to its spicy aromatic taste. green spelt is ideal for soups, dumplings, gratins, little cakes and patties. Hemp seeds in muesli or salad, or just nibble them. Hemp seeds also make a good ingredient for baked goods such as bread or cakes. We provide hemp seeds (certified organic) hulled or unhulled. Linseed is not only pressed to high-quality linseed oil but it is also a tasty and healthy ingredient in many baked goods and in muesli. ZIELER & CO. offers linseed in brown or golden yellow. Millet for casseroles, patties or soups. It can be used like risotto as a side dish or boiled in milk as porridge. Millet can also be used for gluten-free baking. Oat is suitable for making flour, flakes, salad, porridge, grits or baked goods like biscuits, cake and bread. ZIELER & CO. provide certified organic oats. With corn for popcorn, sugar and salt you can make your yummy popcorn at home - fresh and easy. New in the product range of ZIELER & CO. you find roasted corn with spices. Pumpkin seeds are especially tasty in baked goods, cakes, muesli, salads, soups and other dishes or nibbled between meals. Especially as grain for baking bread, rye is particularly popular in our latitudes. Rye contains many carbon hydrates, fibres, proteins and mineral nutrients as well as the vitamins B and E.
Sesame seeds are perfect to refine dishes, baked goods or muesli. Roasted and pressed, sesame makes a spice. Sesame seeds by ZIELER & CO., hulled and unhulled. Spelt is very suitable for biscuits and cakes but also for making pasta. Its slightly nutty taste makes it popular for spelt muesli or spelt flakes. Sunflower seeds as aromatic extra for pasta, roasted in salads, soups or muesli. Pure, sunflower seeds make a yummy treat. ZIELER & CO. offers sunflower seeds of premium quality and certified organic farming. Wheat is the baking grain Number One, used to bake bread and other goods – sweet as well as savoury – but also added to muesli as flakes or seedling.